This stir fry is best served over rice, but will pair well with lo mein noodles and other vegetables for a classic dish you’ll want to make over and over again. In a bowl, combine 2 tbsp cornstarch, 2 tbsp water and garlic powder until smooth. Add beef and toss. 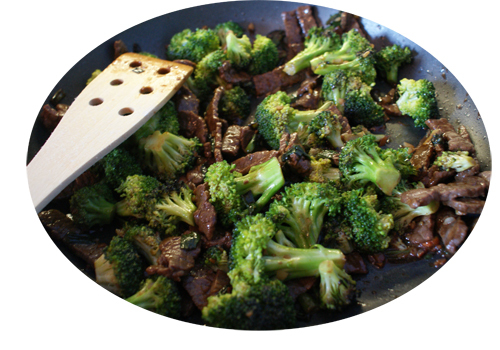 In a lark skillet or wok, stir-fry beef in 1 tbsp oil over medium-high heat until beef reaches desired doneness. Remove and keep warm. Stir-fry broccoli and onion in remaining oil for 4-5 minutes. Return beef to pan. Combine soy sauce, brown sugar, ginger and remaining cornstarch and water until smooth; add to beef, broccoli and onion. Cook and stir for 2 minutes. Serve over rice or noodles, enjoy!